Salt Lifters at Work in a Grainer. 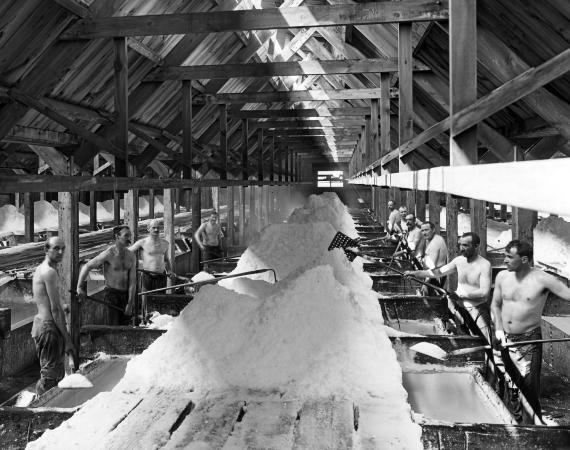 Worcester Salt Works, Silver Springs, N.Y.
Salt Lifters at work in a grainer. Worcester Salt Works, Silver Springs, N.Y., 1912. Source: New York State Archives. New York (State). Education Dept. Division of Visual Instruction. Instructional lantern slides, ca. 1856-1939. Series A3045-78, TbS42, No. 1127.